Loads of festive treats to be picked up, directly from the artists. 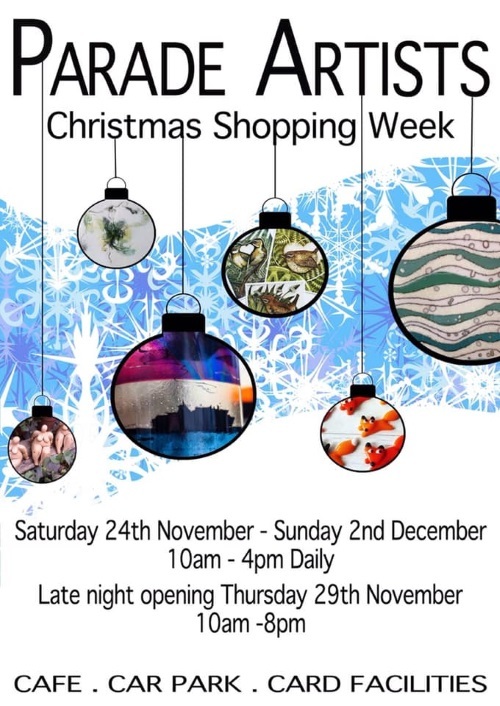 An amazing assortment of art work, glass, ceramics, textiles and jewellery. Cafe, car parking and card facilities are all available.